is the latest in our range of hand made wood baits. Wood baits need a little running maintenance in the form of touching up the scratches so they don't take on water, but the action is always superior to plastic baits. Wood baits are almost always hand made & individually hand tuned before leaving their manufacturer / creator. Their creator always takes a pride in his/her work & will not let substandard lures go for sale. These JUMPIN JACK FROGS are no exception, they are beautifully painted & very well crafted. They are designed as a "weedless" twitch bait & with a light action they move a lot of water & create a lot of disturbance. 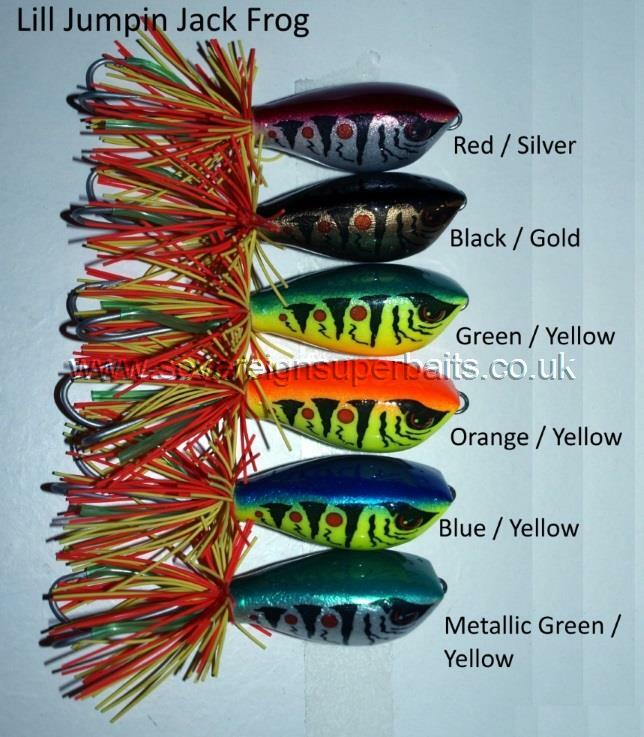 With a heaver twitching action, almost a jerkbait action they will literally jump over pads & weeds, from one space to the next landing with a distinct "plop". The weed guards in the case of these lures, are two pieces of green silicon tube worked in to the "firetiger" tail dressing. During testing on Pitsford Water season 2017 on the south bank where all the tall weeds grow, we had to stop fishing as we were getting a fish a chuck, but the trout were out numbering the pike about 4 to 1. Since then we have tried these all over, the Thames, Trent, the drains & the broads. The result is the same everywhere we use them, they are NAILED. It weighs in at 12gms & is 54mm in the body & 95mm L.O.A. 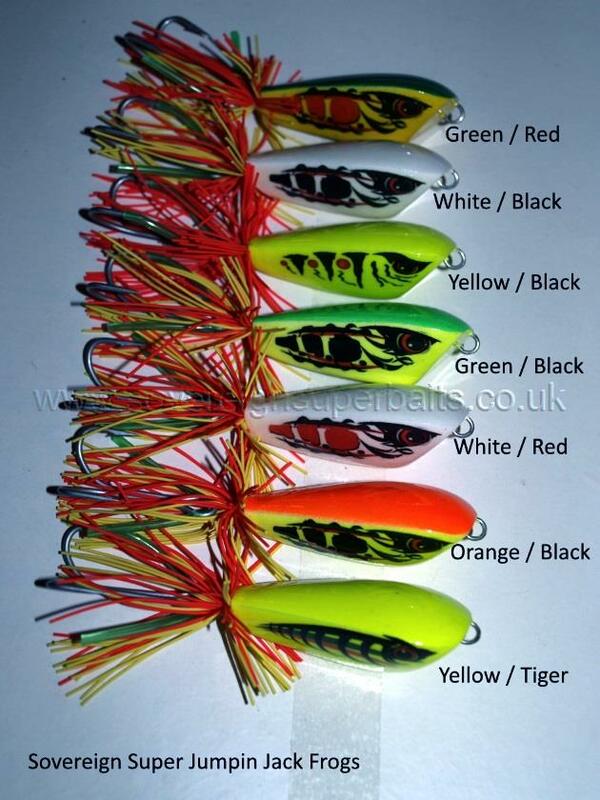 As it's name suggests the LIL JUMPIN JACK FROG is the little brother of the lure above, with all the same attributes, in a lighter slightly smaller version for those situations needing a more delicate approach (Chub under overhanging vegetation etc) where the weed guards come in to their own. This one weighs in at just 8gms, is 45mm in the body & 85mm L.O.A.